Licking salt off the back of your hand is so uncivilized. 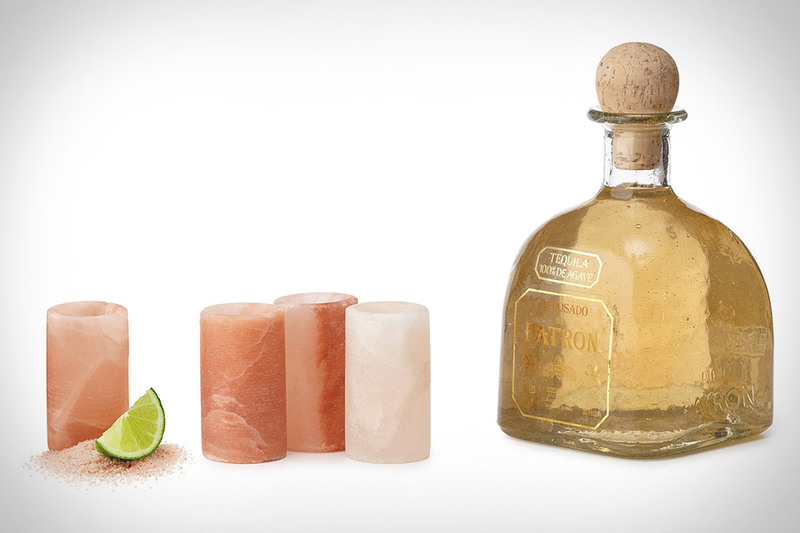 So if you're planning on slamming some shots of tequila at your next adult gathering, consider serving them in these Himalayan Salt Tequila Glasses ($30/Set of 4) instead. Made from high-quality, food-grade Himalayan pink salt, they look more like rose quartz than something you'd sit on the dinner table, and impart a nuanced saltiness to every drink. Even better, they require little maintenance, and should last for long after you've finished the bottle. It's always classier to show up with a bottle of wine draped in some vino-specific carrier than to brown bag it like the homeless guy down the street. The Built Origami Wine Tote ($25) lets you do exactly that, without needing to carry some bulky thing home. Thanks to its unique design, it collapses down flat after use and is secured by the handle, making it easy to shove into a bag for the ride home. Available in black or the obvious dep red "Bordeaux".